The suburbs west of the city of Adelaide and the parklands, such as Hindmarsh and Bowden, were earmarked as industrial areas prior to 1945 because they were in the vicinity of the road and rail links between Adelaide’s CBD and Port Adelaide. The industrial origins in the 19th century lay in the small cottage industries supported by both residential and industrial expansion. More noxious industries moved into the area in the early 20th century and the wealthier residents began to move out. Though it was still a residential area, with many post 1945 European migrants (Greek, Italian, Yugoslav) being attracted to the area because of the low cost of housing, industry expansion quickened after the 1940s.By the 1980s the official view of Bowden-Brompton was that these suburbs were old industrial areas and that industry expansion was premised on purchasing adjoining residential property. 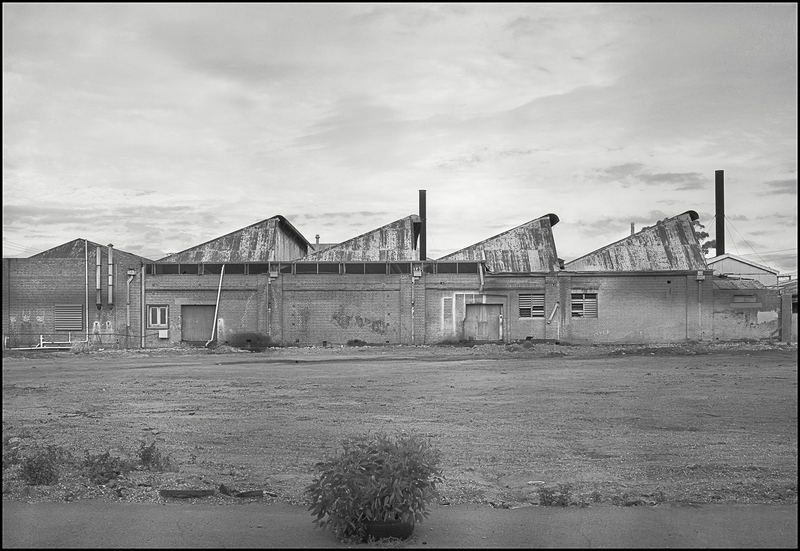 These properties were seen as being on congested sites, to be outworn and obsolete, as having reached the end of their economic and useful life, and that their low property values encouraged the intrusion of factories and businesses. The substandard housing was only worthy of demolition. 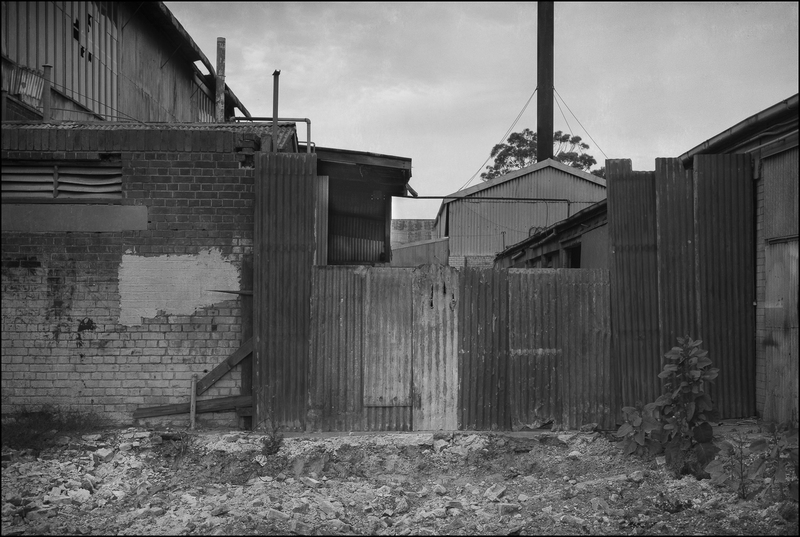 The depressing character of sub-standard dwellings combined with noise, odours, dirt, smoke pollution and heavy traffic meant that Bowden was defined as a Adelaide’s slum. Slum meant an incidence of disease and delinquency. The concerns of the people who lived in the slum for better living conditions for themselves could be ignored. This image was made whilst I was working on the 1980s Bowden series. The image highlights the industrial nature of this inner suburb, before its urban renewal and gentrification in the Ist decade of the 21st century. Bowden has been greened up, and infilled with higher density housing, and is now Bowden Village. The earthy and gritty character of the older industrial Bowden of the 20th century has gone. Another archival image from the incompleted Port Adelaide project. The image of an edgeland is looking across an urbanscape that was routinely dismissed as swampland to the Adelaide hills from the Grand Trunkway. This runs to Garden Island and the Torrens Power Station. 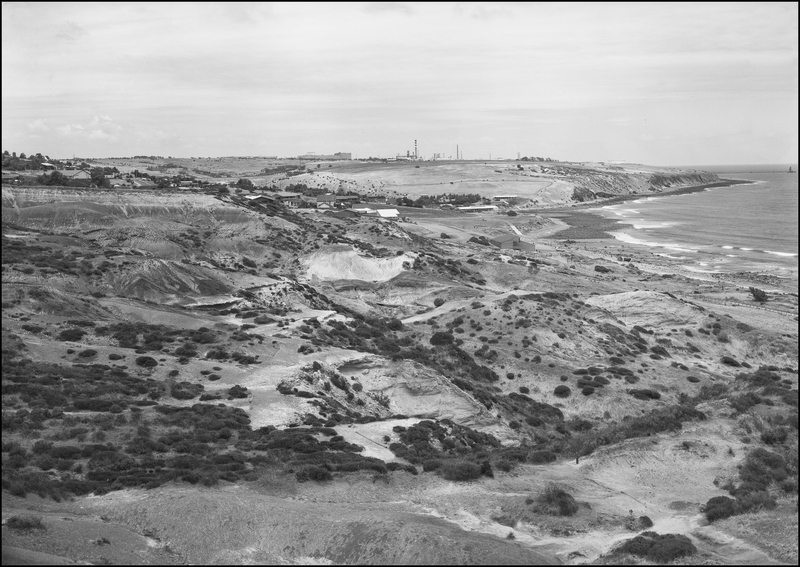 This edgeland at Gillman was earmarked for a high tech industrial expansion around Port Adelaide that never really happened. The degraded urban environment at Gilman was the chosen site for the proposed Multi Function Polis (MFP)—a Japanese proposal for a futuristic high tech city—in the 1980s. Australia at the time had an inward looking and inefficient manufacturing sector, an over reliance on an uncertain commodity market and was seeking international investment to help modernise its economy. 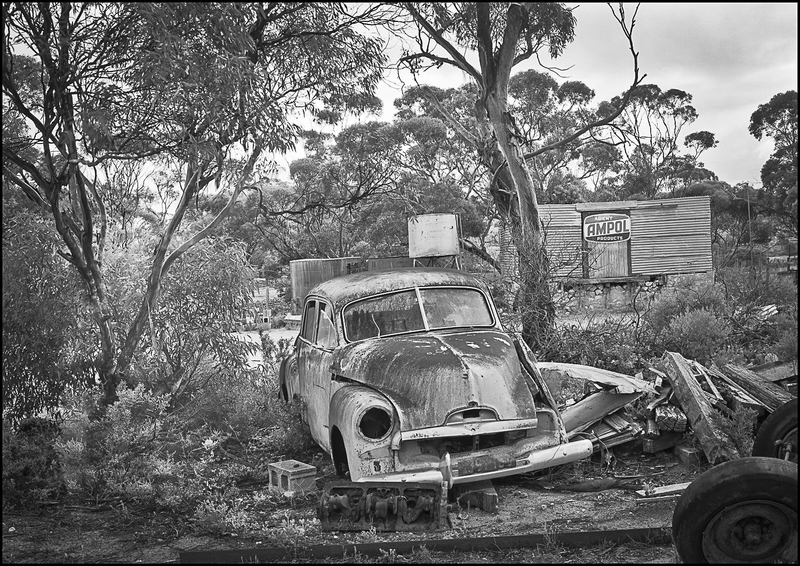 Like the two other images from the Mantung photoshoot in the South Australian Mallee in the early 1990s this image was also made with a Cambo 5×7 monorail and Kodak black and white Tri-X film. This image was made about the time that photography, whether as historical object or professional practice, was becoming fully institutionalised; that is in the process of finding a secure niche in universities, art schools, art museums, and the marketplace, as well as in the culture at large. This photograph provides a scene as opposed to a narrative; a scene that is always from the past and that has to be read like a tableau or a panorama, with the gaze moving across the plane of view in different directions, back and forward. This kind of viewing incorporates the past into the present. It suggests that photography simultaneously conjures past, present, and future in a single image form. 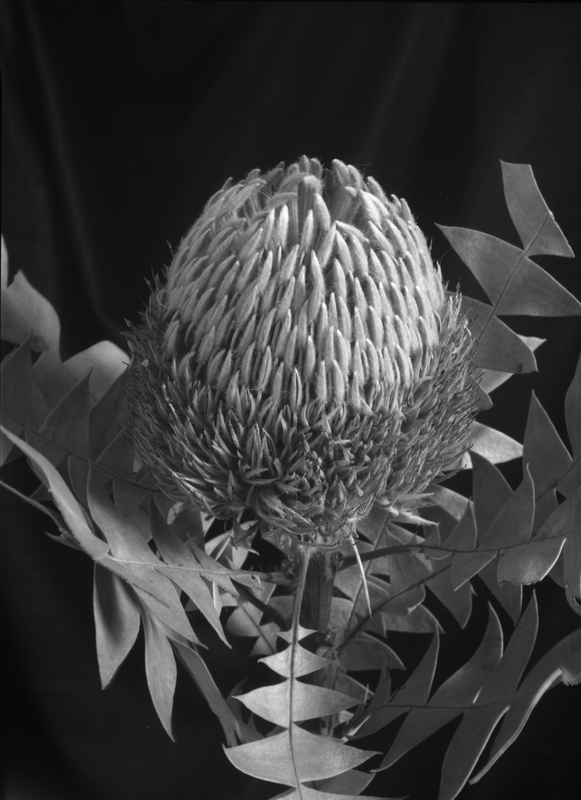 This is another image from the Mantung photoshoot in the South Australian Mallee in the early 1990s. 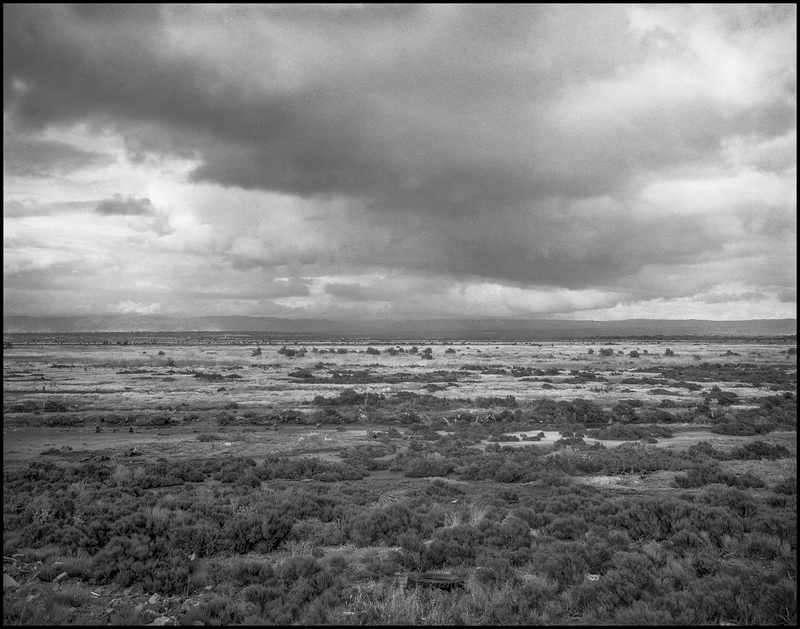 It was made with a Cambo 5×7 monorail and Kodak black and white Tri-X film. 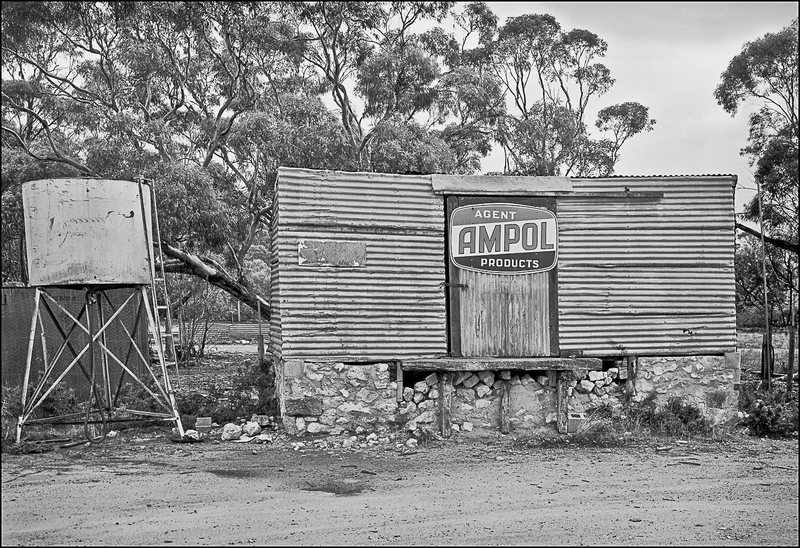 This is another archival image that didn’t make it into the opening exhibition of the Mallee Routes project at the Atkins Photo Lab in Adelaide. There were no archival images amongst my 5 images in that exhibition.